No matter what you have, a phone, tablet, desktop, laptop or anything with an operating system, there will come a time when you will need to either update or upgrade the software. There is a difference between the two. Upgrading usually means you are moving from one operating system to an entirely new one. An example of this is when you have a Windows 8 computer and you upgrade it to Windows 10. Updating is when you have a operating system and the changes effect the current system, usually with security patches or small new features. An example of this is when Sony released an update for the Playstation 4 with PC remote play feature, but it was still using the same operating system. Why Should You Be Updating and Upgrading? Upgrading is not nearly as important as updating. Usually the choice to upgrade is going to go with the option to upgrade the hardware. Sure you can upgrade your operating system, but to really reach the full potential of new software, more energy efficient hardware to go with it benefits you the most. One thing to be cautious of when upgrading on current computers and hardware, is the compatibility with older software. If you love your Awesome Program 97 but it will not work with Windows 10, you may consider to stay with your current OS. There are ways around this by using virtual terminals and such, but depending on your tech level that may not be an option. 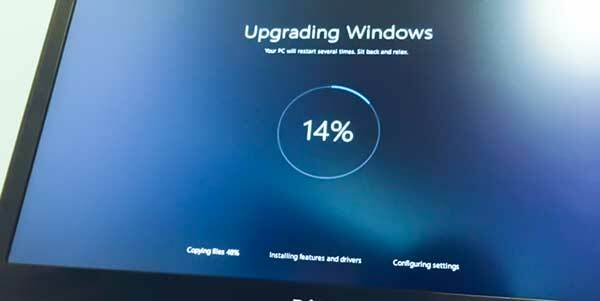 Upgrading can be exciting, using new features and having a more energy efficient software always helps, but keep in mind you need to research which programs you own and are they compatible, also consider if your hardware can handle new upgrades as well. The number one reason to update is security and security oh and also security. Usually updates try to consider all hardware and programs out there but the sheer number of them make it almost impossible to keep track of that. So from time to time you will encounter a update that may conflict with some of your programs. Hopefully drivers and updates are released quickly but if not you can always roll back your OS to before the update was released. The question does come up, should I update right away? The answer is maybe, before updating do some research check some message boards see if other people are having troubles and of course before doing any upgrade or update always back up your data! Do you need tech support or web marketing help? Contact us today for the help you need!